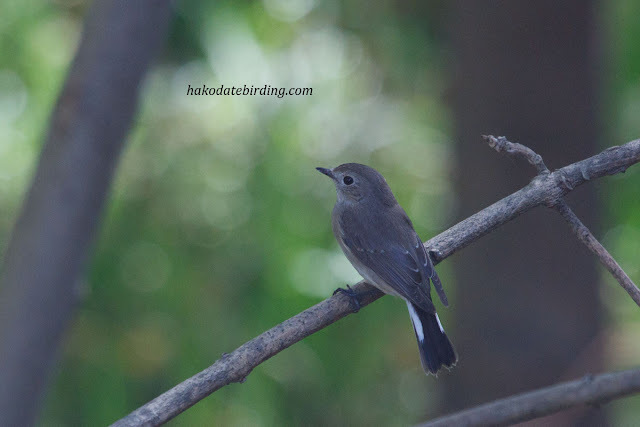 The Taiga Flycatcher was around until Wednesday, not a great picture but you can see its' diagnostic tail pattern very clearly. It was very very active and always seemed to stay in the shady areas. There were 7 species of duck in town, 3 Pochard had joined the Scaup in Goryokaku Park (7 of them now) and there was a female Pintail on the river today as well. The egrets were still around. 2 Great and 1 Little Egret, the latter is a bird I don't often photograph so I tried to get a good shot of it today. It was very jumpy and all I could manage were BIF shots. Last Sunday we went to Yakumo. On the way I saw the season's first eagles, 2 young White Tailed I think but we couldn't stop. At Yakumo there were Great Crested Grebe, large numbers of Scaup and Wigeon and 7 species of Gull including the first Glaucous and Glaucous Winged of the winter, here's a shot a of the latter. I enjoyed the Liverpool/Man U game last week. Liverpool should have won, why was Henderson on as a sub up front trying to knock in headers at the end when Carroll was still on the bench? Nice shot of the flycatcher and very distinctive gull pics too. Eagles arrive there very early compared to here. Maybe mid December before we get one or two whitetails. Like the yellow socks worn by the egret. The gull picture is the one that stands out clearly, perhaps because of its colourful legs and beak. Off on a Leopard hunt. You mean hunting with a camera? Or a gun?!?!?! Aha so the gulls have arrived! I still haven't seen any Black-headed around here, just Vegas and Black-taileds. Great shots of the egrets and the gulls.